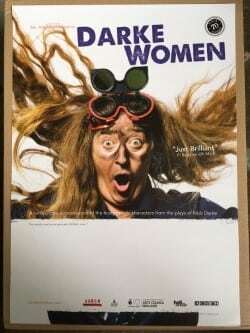 This Autumn Bec Applebee is will be touring a new show – Darke Women. Celebrating Nick Darke and his fabulous female characters. Bec has worked with the internationally acclaimed company Kneehigh Theatre, performing as a core member for 14 years in shows like The King of Prussia by Nick Darke, The Red Shoes and Wagstaff The Wind up Boy. Bec has worked for Wild Works as a performer and co-director in the Old Man With Enormous Wings and continues to have ongoing working relationships with many other Cornwall based companies including CScape Dance If the shoe Fits and Hansel and Gretel, Goldentree Productions Gogmagogand The Man Engine and most recently Cousin Jacks performing for two seasons of The Mousehole Cat . The show will start at 7.30 pm unless otherwise indicated. A game of chicken on the Tamar Bridge ends in tragedy, civil war looms in war torn Cornwall. In a cynical bid to placate the press and suppress the locals, who are in revolt, a clay worker and part time rock star from St Stephen is elevated to the position of Duke. Only feisty local girl Gonietta can stand in the way of Cornwall’s subjugation. Post apocalyptic, passionate and poignant, Hells Mouth is Nick Darke’s retelling of Greek tragedy Antigone – directed by Simon Harvey and Sam Colborne and performed by HFC Youth Theatre. Drinks & networking event in the bar from 6.15pm. 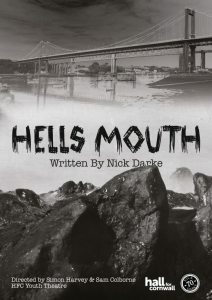 Following the success of 2010’s Superstition Mountain, o-region returns with a new show celebrating the life and work of Cornwall’s most renowned playwright, Nick Darke. Fusing extracts from lesser-known works with firm audience favourites such as The King of Prussia and Hell’s Mouth, and featuring exclusive extracts from Nick’s private journals and correspondence, this wildly imaginative show explores the creative process of the writer and creates an exciting new showcase for Nick’s astonishing body of work. 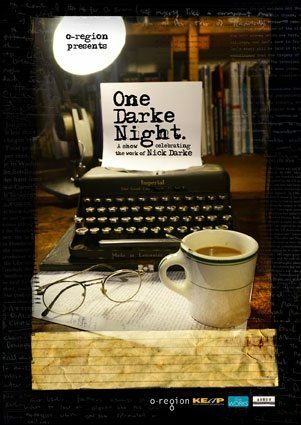 Combining bold staging, specially commissioned film and a cast of five versatile performers, One Darke Night will be touring to small-scale venues during 2011.